engaging, fast-paced, great sets, costumes, sound effects and music." Pirate School! 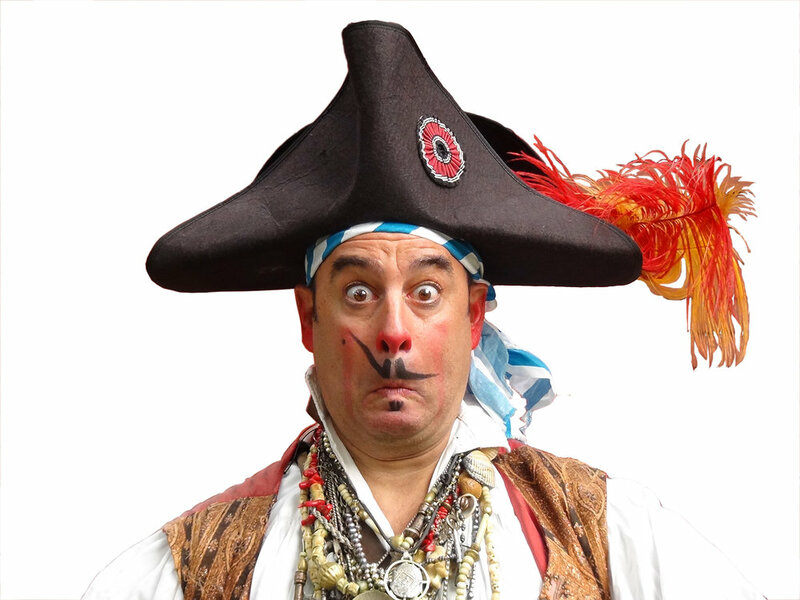 is a madcap, swashbuckling solo show created and performed by veteran New York actor David Engel. Set to an original cartoon-inspired musical score, complete with sound effects, Pirate Professor Billy Bones teaches the finer points of lighthearted mischief and offers up zany lessons on how to stand, talk, sing and laugh like a boisterous buccaneer, all while promoting good manners, polite behavior and social courage. Children have a natural fascination for adventure and the pirates' life on the high seas. With eye-popping puppetry, eccentric props, and slapstick sword play, Pirate School! is a riotous, interactive variety show suitable for ages 4 and up. Where else can you find a talking skull and the world's only wearable pirate ship? Pirate School! offers two distinct school shows for today's educator: Pirate School: Follow Your Compass is a pro-kid, character building production where students experience simple solutions to resolving conflict and the important concepts of respect, responsibility, compassion and courage are underscored. Unlike other science comedy shows on the high seas today, Pirate School: The Science of Pirates pushes the boundaries of science and technology, just like the seafarers of old. Who better to expand children's horizons than a Pirate? Concepts include atmospheric pressure, wind, currents and the aerodynamics of a sailboat (science), simple machines (engineering), navigation (math), and, of course, the flight of a cannonball (technology) all wrapped up in a theater production (art). Combining STEAM concepts with the universal dream of a swashbuckling adventure will inspire, encourage and empower. Grades K-5.